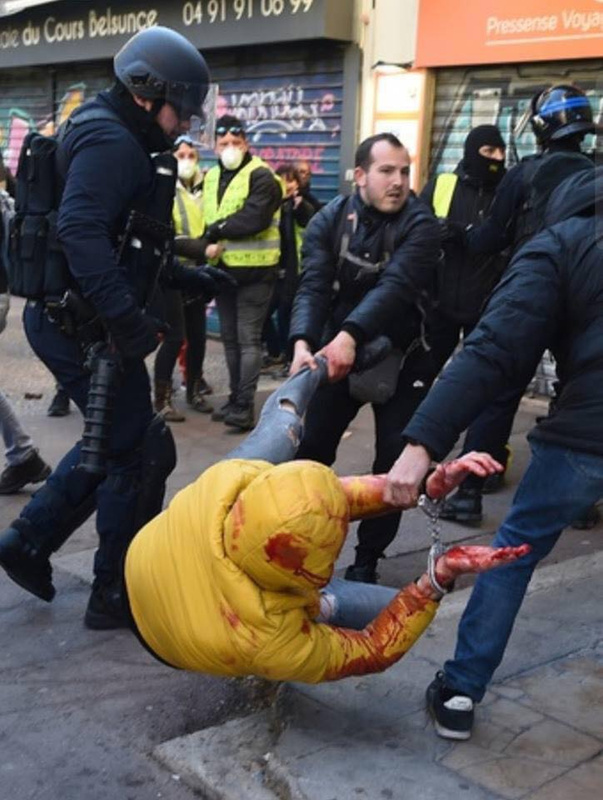 My interview yesterday with UK Column where I highlight some of the most egregious elements of state-sanctioned violence against unarmed civilians on the streets of French cities since November 2018 when the Gilets Jaunes or Yellow Vests first began their anti-austerity peaceful protests. What is happening in France is shocking, every video I watch, every image I am confronted by is harder to bear. These are not “casseurs” or violent criminals, they are ordinary people from all walks of life, all ages, all backgrounds. They are putting themselves in the crosshairs of French police weapons because they have genuinely had enough. Yes, finally, Europe has reached the point of having “nothing to lose”. I have lived in France for 18 years, I understand this nation and I promise you, once ignited, this uprising is not going away anytime soon. The violence these ordinary people are being confronted by is terrifying but they are still pouring onto the streets. Every time they do so, they risk losing an eye, a hand, having their jaw broken, ribs broken, their faces scarred for life or ending up in an induced coma. 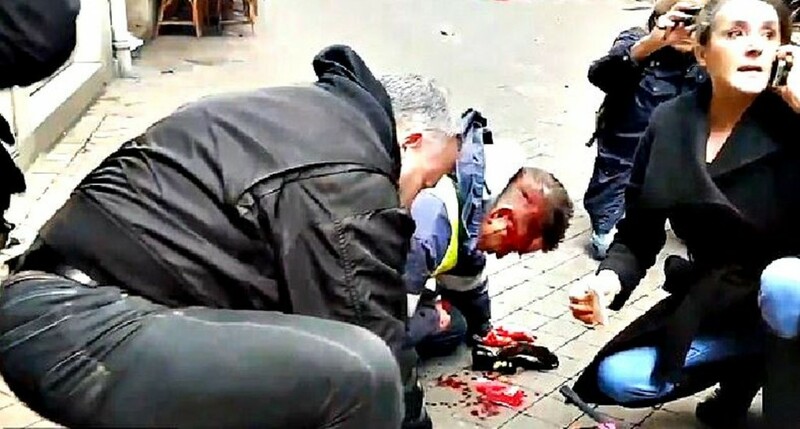 The French Interior Minister, Christophe Castaner, has point blank denied the number of injuries among the Gilets Jaunes and has announced that the Police are only responding to violence against them. This is a lie. While the U.S and its lapdogs in the U.K and France stoke the fires of dissent in Venezuela, they turn their backs on their own people condemning them to a life of penury, misery and homelessness – the long and painful descent into poverty. Any idiot who still takes up the “dictator” mantra on Venezuela while ignoring what is happening on their own doorstep is buying into their own downfall. I support the Gilets Jaunes, I support the French people because they are marching in the streets and they are taking the blows from the ruling elite without kneeling. Macron is a effectively a dictator, one Mayor (Rene Revol, Mayor of Grabels 34) who attended the meeting of Mayors, (18/1/2019) from all communes in France, held in Souillac, was interviewed after the meeting attended by Macron and his coterie. He said the meeting was nothing more than a “masquerade”, a farce, an election campaign for Macron. Gilets Jaunes were forbidden and threatened with fines if they were caught in the vicinity wearing their vests. Road blocks were set up on all roads leading to the venue. Security forces surrounded Macron’s cavalcade. Mayors were able to speak only if chosen by government ministers or Prefets – controlled discourse. The meeting was ostensibly called to address the issues of the people. Nothing was discussed and the “people” were banned. Macron, the emperor with no clothes, fiddles while France burns. Step 1. If crowd fails to disperse after verbal warnings – progress to truncheons, water cannon, hand tear gas grenades. Step 2. GLIF4 grenades 165 decibels. Grenade launchers. The LBD bullet (Bullet of Defence) has 10 times the velocity of a paintball, to give you some idea. The GLIF4 grenade contains 25g TNT and produces a noise deterrent of 165 decibels – they are being used in crowds and at close quarters. One GJ has permanently lost their hearing. Over 100 GJs have been seriously injured. According to journalist, David Dufresne, 2000-3000 lightly injured. Below is a list in French of all injured. Zineb Redouane, 80 years old – killed by a tear gas grenade that was thrown in their face in Marseill 1/12/2018. 4 people (at least) have lost their hands. GABRIEL, 21 ans, apprenti chaudronnier vivant dans la Sarthe, a eu la main arrachée par une grenade GLI F4 à Paris le 24 novembre 2018. Cagnotte de soutien, CLIQUEZ ICI. NON IDENTIFIE, 35 ans, a perdu un œil à cause d’un tir de LBD 40 le 12 janvier 2019 à Toulon. NON IDENTIFIE, 27 ans, a perdu un œil à cause d’une grenade de désencerclement le 19 janvier 2019 à Rennes.